Rashmi Ravindran is a Western Sydney-based Writer, Director and Producer. She began her career as features and promo producer in India working for about 6 years with various TV channels and later in the nonprofit sector. 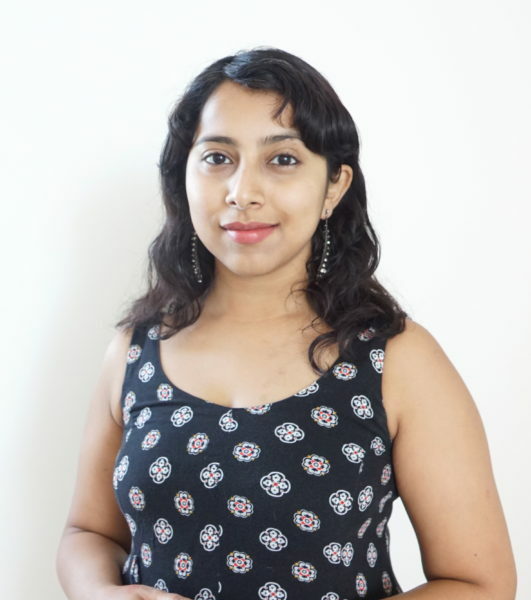 As a filmmaker, she has created short docos and campaign videos raising the conversation about child marriage, female foeticide, domestic violence, disability rights and LGBTQI rights. She migrated to Sydney in late 2016. Since her arrival, she has co-produced a black comedy about an Indo-Australian family and directed a play for the Short & Sweet Theatre festival which made it to the People’s Choice showcase. Currently, she is working on a collaborative series with other CALD filmmakers. She is passionate about storytelling as a way of encouraging dialogue between communities. Is it possible to claim the screen and spotlight with the odds stacked against you? Can you ever be part of the mainstream and is that a necessity? 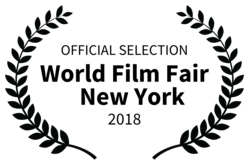 Rashmi’s film First Impressions was officially selected for the 2018 World Film Fair in New York. What drew you to this project? I saw in the call out by Diversity Arts, a great opportunity to artistically explore some of the issues I have been dealing with as a CALD and migrant filmmaker. Every migrant has that moment when you feel your identity become racialized and for me, this has been a very interesting phenomenon to observe personally and artistically. I had been discussing this feeling of marginalisation and invisibility, in my personal conversations and on social media for a while now. A film was a more constructive way of expanding that conversation and looking at possible solutions. What does cultural diversity mean to you? Diversity is when you understand the – “to each, his own” principle and you respect other cultures and are curious and excited by them. Growing up in India I was always surrounded by people from various backgrounds, celebrating festivals with friends from different religions and knowing the cultural significance and history of other communities. This came naturally because you are constantly engaging with your neighbours and friends and are not isolated or resistant to things which are different from you or your culture. Today the world is increasingly becoming xenophobic and fundamentalist and I think actively talking to each other and spending time with communities other than yours is very important to counter that narrative. Also, why would you want to miss out on all the colour, beauty and art that cultural diversity brings? So many celebrations and delicious cuisines to enjoy. I think a multicultural society is where I feel the most at home. It has been so excited for me personally to encounter so many people from such different backgrounds in Sydney and since coming here discovering the many historical links between South Asia and Australia, especially indigenous Australia. It just reaffirms the fact that the cultures of the world have always been interacting and nourishing each other. It’s just a matter of delving deeper and finding that connection and commonality and if there are differences, embracing that difference, that plurality, as another way of living life. When we are open to cultural diversity, our own identities are enriched. Every migrant has that moment when you feel your identity become racialized and for me, this has been a very interesting phenomenon to observe personally and artistically. What ideas do you explore in your film? Through First Impressions, I sought to highlight the unique challenges and insights that come with being a first-generation migrant artist in Australia. It is hard being an artist anywhere and the lack of diversity in media is old news. But as a migrant, the artist’s struggle is even more complicated. The film focuses on three South Asian migrant artists and their unique perspective and journey. How did they cope and how did their outsider status inform their art? How they have created a space for themselves, where earlier there was none – these are some of the themes the film explores. Did the experience of developing this project change how you thought about your subject matter? The shooting of the film was very therapeutic for me. There were many parallels between the journeys of the artists themselves and some aspects which resonated with my own personal experience. So I have learnt that this is a collective experience and that the isolation and discrimination you experience is not unique to you. This has made me more hopeful and seek more community-based solutions to the issue. The artists featured in the film have all claimed a space for themselves within their art and becoming aware of their process was inspiring and educational. All of them touched upon the need to create opportunities for other diverse artists. I made sure my crew was made of women and POC so I could share some part of this platform with others like me. So while the film for me confirmed a lot of the harsh realities of being a migrant artist, there were lots of meaningful solutions that arose from it. I think I also initially imagined my audience as the “gate-keepers” and its aim as trying to make them see the need for diversity. While that is a part of it, now the film aims to speak mainly to other CALD and migrant artists. I am hoping that diverse artists who feel underrepresented in Australian media, will find themes that speak to their own experience in the film and find some inspiration and solace from these stories. What is your filmmaking background? I have been a storyteller all my life and that lead me to do an M.A in Literature from Delhi University and later an M.A in Filmmaking at AJK MCRC, New Delhi. I worked as a scriptwriter and features producer with various TV channels in India for over 8 years, creating food shows, news features and promos. Later I began freelancing and working primarily in the non-profit sector and during this time I made several short documentaries on the issues of domestic violence, gender and sexuality and disability rights. While the move to Sydney has meant starting my career back at square one, I am using this shift to refocus on my love of fiction and to write and direct more. In the past year and a half, I have worked on a Bollywood film with an Australian Indian cast and co-produced a pilot for a comedy series starring a primarily South Asian cast set in Sydney. Earlier this year I directed a short comedy at the Short & Sweet Theatre festival which was well received. I also volunteer as a videographer and editor for Democracy in Colour which is a racial justice organisation.